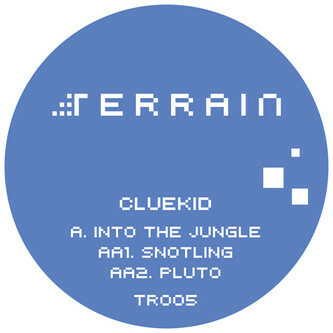 Cluekid heads to his natural habitat on 'Into The Jungle' for N-Type's Terrain label. A-side's a weapon, sending Shackleton-esque subbass tremors under taut, rippling congas and pollutant synth strikes. Meanwhile 'Snotling' on the flip exorcises his halfstep demons and 'Pluto' goes on a mad one, rattling out proper '93-style Jungle at roughly 150bpm.